Nothing says “Spring is here” more than outdoor festivities and get-togethers, fireworks and tall bonfires to ward off witches and evil spirits – yes, bonfires to ward off witches and evil spirits. Happy Valborgmässoafton or Valborg for short, aka Walpurgis Night. Walpurgis Night falls on the last day of April and on the eve of when Saint Walpurga (Saint Valborg) was canonized by Pope Adrian II. On the Swedish calendar, Walpurga’s canonization became associated with May Day and the coming of spring. The origins and traditions of Walpurgis Night vary from country to country in Europe and in different regions of Sweden, but what remains consistent are the bonfires and celebrations to welcome warmer weather and longer days. Walpurgis Night isn’t complete without a tall, crackling bonfire. Today, it’s typical to roast marshmallows and hotdogs and enjoy the warmth of the fire during the chilly spring night, but the traditional bonfire once was a way to ward off the unwanted. 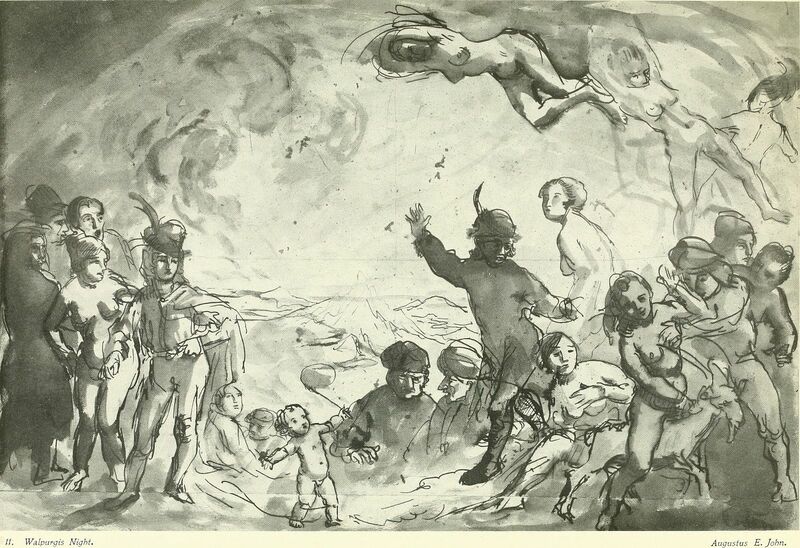 In German folklore, Walpurgis Night is called Walpurgisnacht, which translates to “witches’ night” and is believed to be the night of a witches’ meeting. In Sweden, Walpurgis Night is the day to celebrate spring and the ending of the dark winter days, which, according to Real Scandinavia, many believed was a day evil spirits were active. Farmers also let their livestock out to graze on this night. The bonfires were a way to ward off superstitious predators like spirits and witches and real predators like wolves who would come after the grazing livestock. Since 1939, May 1 has been declared a national holiday – Labor Day – giving Swedes even more of an excuse to let loose, relax and partake in the Walpurgis Night activities. Today, Walpurgis Night festivities in Sweden vary from city to city and cater to all ages. Skansen, an open-air museum, hosts the largest celebration in Stockholm, and university students enjoy the local night life in Uppsala and Lund. Some break out their grills for the first cookout of the year, and public bonfires, carnivals and other fun events are found in most any city. Walpurgis Night also lands on King Carl XVI Gustaf’s birthday, and Swedes show their respect by hanging Swedish flags. Valborg Weiner Roast in Bishop Hill, Ill. – Experience a traditional Valborg around a bonfire with games, a hot dog roast, hot chocolate and more, hosted by Vasa Order of America Archives. The event is free to the public on Friday, April 27. Goodbye, Winter-Hello, Spring St. Walpurgis Night Bonfire in Potomac, Md. 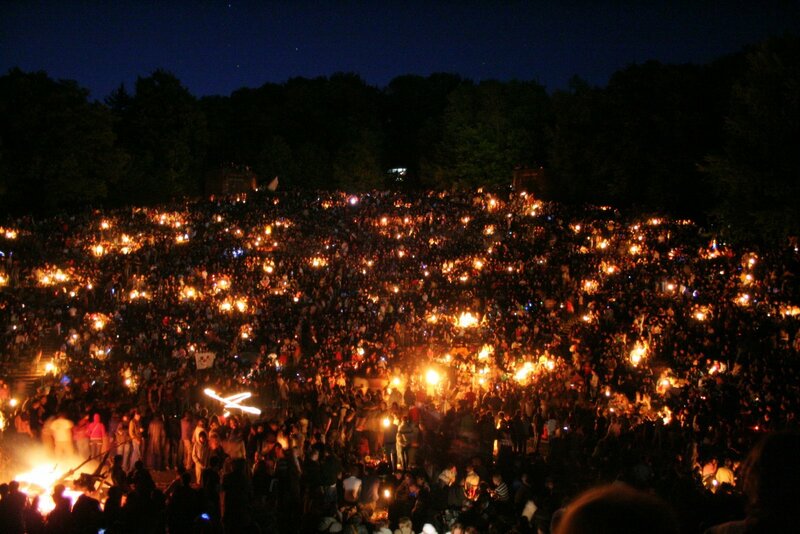 – Vasa Order of America – Drott Lodge #168 will be hosting this annual Walpurgis Night picnic and bonfire. Enjoy games, food, live music and more. Swedish Ambassador Karin Olafsdotter from the Swedish Embassy will also share a few words about this tradition. The event is free to attend on Saturday, April 28. Valborg Dinner in New York City – Welcome spring over a three-course Nordic dinner at Smörgås Chef hosted by Scandinavia House. The event is open to members and nonmembers on Friday, April 27, but tickets are required. 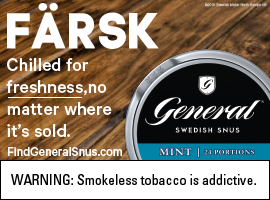 Svensk Valborg i Central Park in New York City – The Church of Sweden in New York will be hosting a celebration at the Swedish Cottage in Central Park on Monday, April 30. The event is free to attend, and all are welcome. Valborg Gasque 2018 in New York City – Uppsala University U.S. Alumni Chapter will be hosting its annual event at Battery Gardens in New York City. Enjoy an evening with friends, foods, drinks, entertainment and singing. This event is open to everyone on Sunday, April 29. Tickets are required. Walpurgis 2018 in Los Angeles – Join the Church of Sweden Los Angeles and the Swedish-American Chamber of Commerce Los Angeles for a Walpurgis celebration complete with a sing-along, food, drinks, music and more on Sunday, April 29. Swea Valborg Party / Walpurgis Party in Scottsdale, Ariz. – Celebrate the arrival of spring with a hayride, food, drinks and a singalong around a bonfire. The event is hosted by SWEA Arizona and free to attend on April 28. You also can host a celebration in your own back yard! Get some inspiration with our DIY guide filled with food and drink recipes. Whatever you do, if you’re enjoying yourself and welcoming spring around a fire, you’re doing it right. These are just a handful of the Walpurgis events happening around the country. 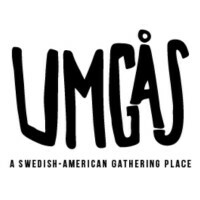 If we forgot to include an event you’re hosting, let us know at Umgasmagazine@gmail.com!